If you are planning to introduce a personal transportation solution in the taxi app market, the best fit would be the Gett Taxi Clone as it is the most flexible and feasible way to get started with a whole new business concept in the most effortless manner. 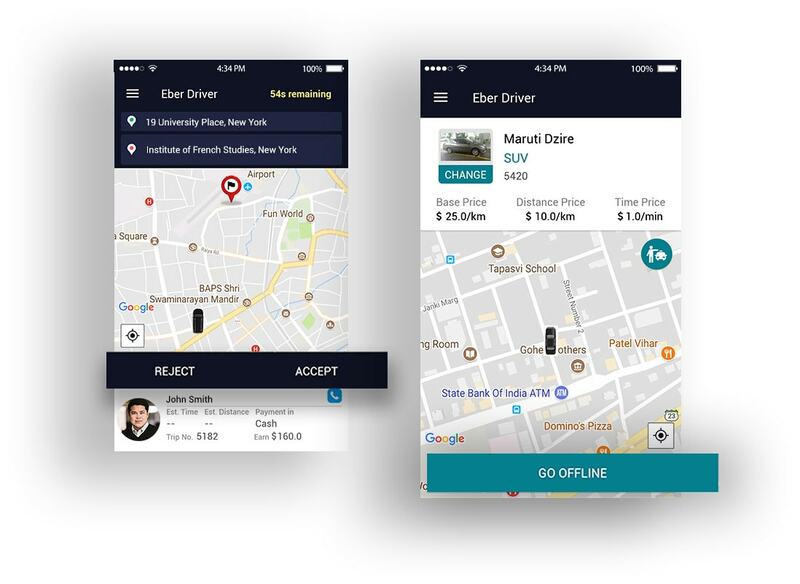 Our specially developed personal transportation solution, Gett Taxi Like App enables the business to have a futuristic approach along with the scope of expanding. We offer an all-in-one solution that covers each part of operating an online taxi app business. An online business is a demand of new generation and our solution helps to satisfy their needs. The riders can use the Gett Taxi App Clone to book their desired ride with the vehicle selection option and they can simply enter the locations. The nearest driver would accept the request and leave as soon as possible to reach the current location of the rider to provide the taxi service. The rider can enjoy a featureful ride with the help of different features that help to enjoy an ultimate riding experience with Gett Taxi Script. Once the ride gets over and the payment is done, the time comes to rate and review the app, it`s service and the experience with the ride. We analyze the business needs completely to understand what exactly we need to include. The app`s UX/UI design takes place right after the completion of the requirement gathering. The development team works to include the features that have been demanded by the client. Our highly capable quality assurance team makes us deliver only the best work of our skills. We deploy the app on various app platforms for you so you do not need to worry about that. We keep a sharp watch on the performance after the launch of the app to avoid any issues. What Do We Offer In Our Gett Taxi Clone Script? The riders can choose the most preferred and the convenient type of vehicle as per their need from the rider app of our Gett Taxi Clone. 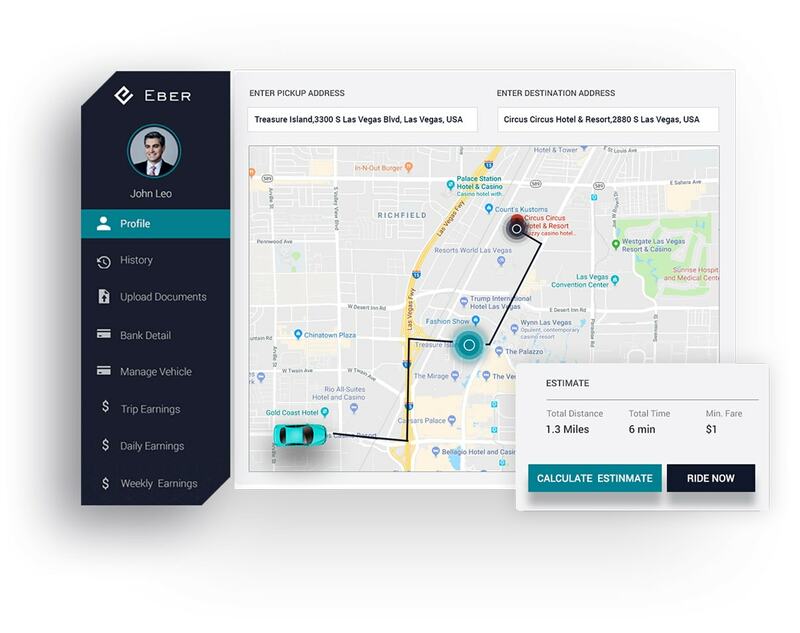 The fare estimation and ETA are the advanced elements of the rider app that facilitates the riders with some of the most futuristic approaches. The verification process here is to get the confirmation of the ride requests that the rider has created from his/her profile of the taxi app. The invoice details feature of the rider app enables the riders to check the complete details of each ride that they have booked from the app. Social media login is the easiest login facility available in the driver`s app to save them of the drivers so that they can focus on serving. 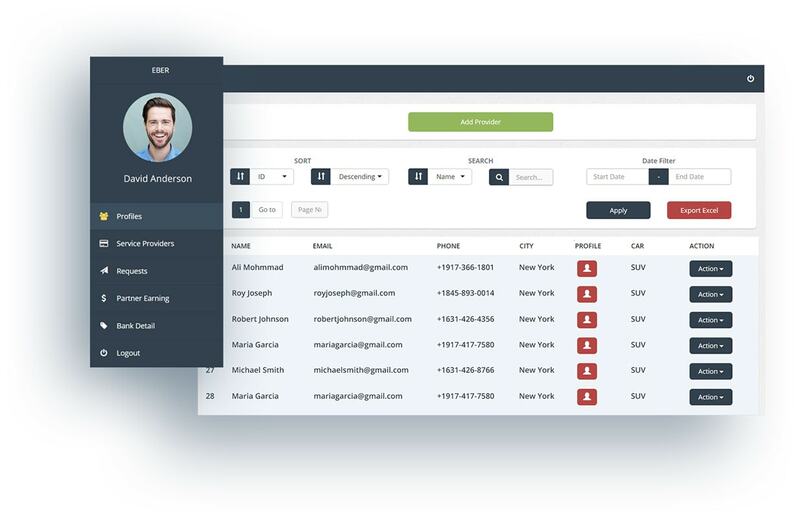 The visitor type means the preference of the driver to serve a particular type of ride requests like gender-based, language-based or need-based. 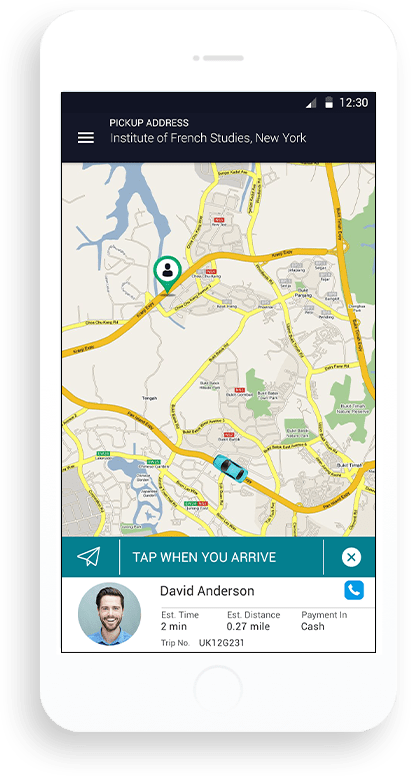 The request option enables the drives to accept the ride requests sent by the nearest potential rider and that would be reflected on their app. This feature would make possible the online verification of the driver’s documents. The driver just needs to upload their documents in the profile. The admin reserves the right to know the reason provided by the rider to cancel the ride. From the cancellation reason section, the admin can do that. The multi-city is a specially attached feature for a business that believes in growing. Such businesses can manage a multi-city business from here. 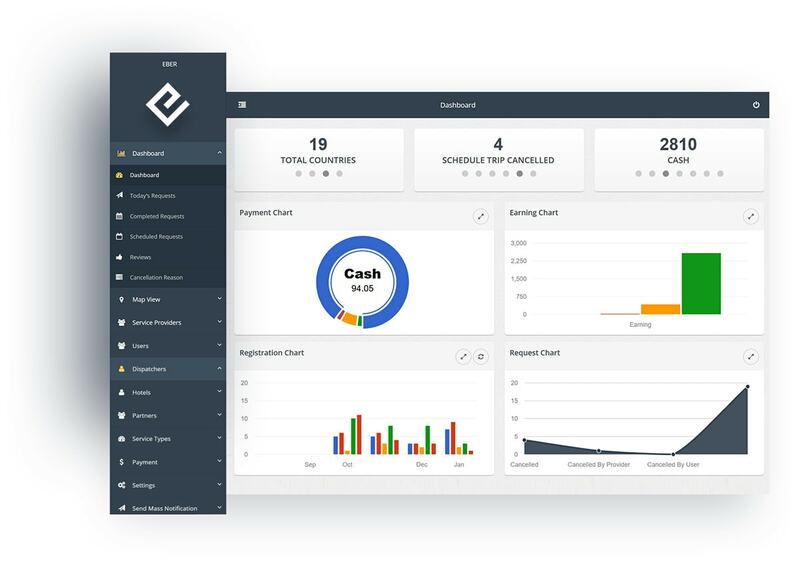 The admin can check all the details of each and every app users like the riders, the drivers, the partners, the dispatcher, and the hotels also. The reports of weekly earnings are easy to access from the weekly earnings section of the admin panel. The admin can check it from here. 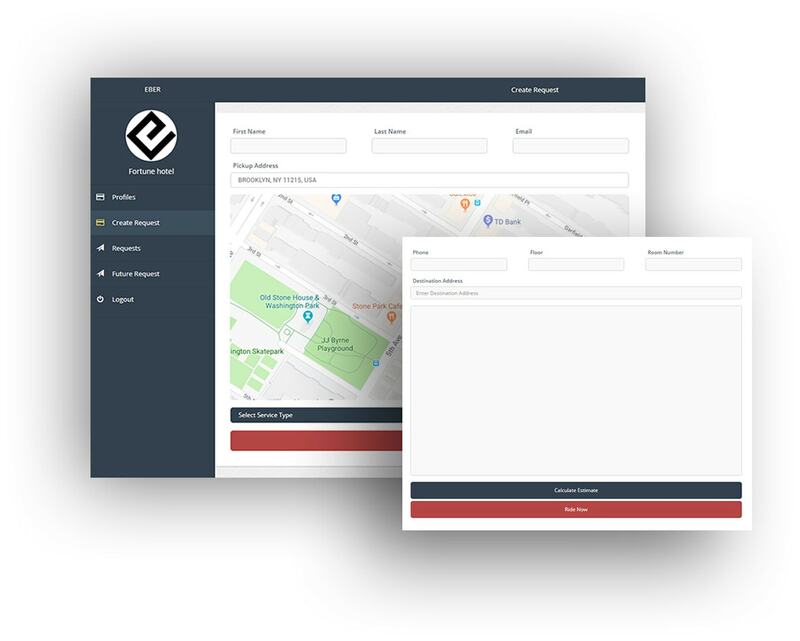 The registration and then after login is the must in order to start working with the app and serve as the dispatcher to create ride requests. The dispatchers can create their personal profile and can make it strong by adding more details to it like personal details, bank details etc. The dispatchers of the Gett Taxi Clone can export the data in excel sheet of the ride requests that they have created from the dispatcher panel. The dispatchers can sort the data in different orders like ascending or descending order to simplify the task of searching and analysis. The riders can apply for the promos from the rider panel to get the benefit of different deals, discounts or any other benefit for the ride. The rider can select the one service according to the need. They can simply request for the taxi for instant use or else can book a scheduled ride. The rider can choose the vehicle type as per the convenience. They can select from economic, classic, luxury or from any other available types. The history section shows all the history of all the rides in a detailed manner. It will show the history of the rides that have been enjoyed by the rider. The document upload facility is available in the driver panel so that the driver does not need to run for submitting the documents for verification. The earning details of each day would reflect in the driver panel from where the driver can check those details on a daily or weekly basis. The drivers can manage their profile from the driver panel where they can manage the ride requests, personal details, and many other things. The filters are the helping hand to search particular data. The drivers can take the help of filters in order to search anything as easily as possible. Profile creation is the must in order to start helping in the management of the taxi business tasks. The partners can create a profile from the panel. 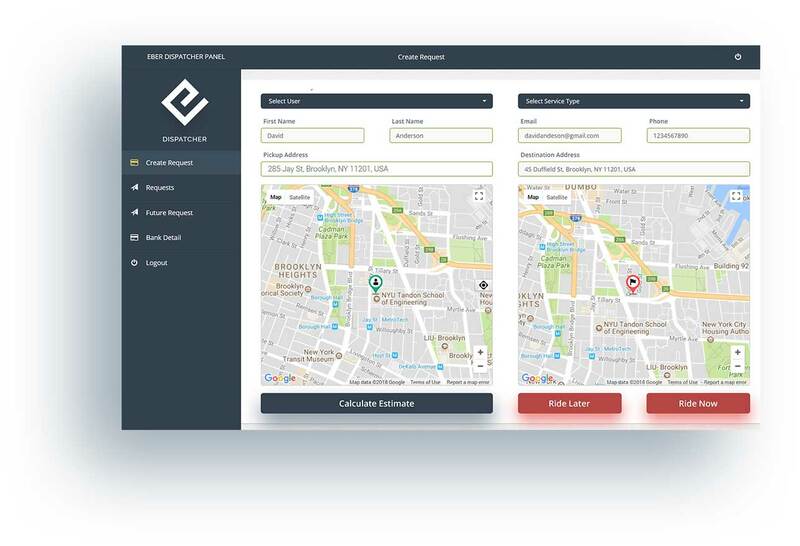 The request feature of the partner panel allows the partners to create the ride requests on behalf of the riders by entering the required details. Adding service providers to the app, removing any provider or editing the details of the providers is possible for the partners from the partner panel. The partner earnings is a special feature for the partners from where the partners can check all the earnings along with all the details of it. The social media login is the most advanced feature attached to the hotel panel from where the hotels can save time with a single click. The sort and search feature of the hotel panel enables the hotel to sort the data in different forms and make the searching an easier task. The hotels can explore a different kind of ride data inside the hotel panel. The hotels can analyze the ride request data from here comfortably. The request history of the hotel panel is to store all the information about the requests that have been created by the hotel for their guests. What’s More About Gett Taxi Like App Solution? 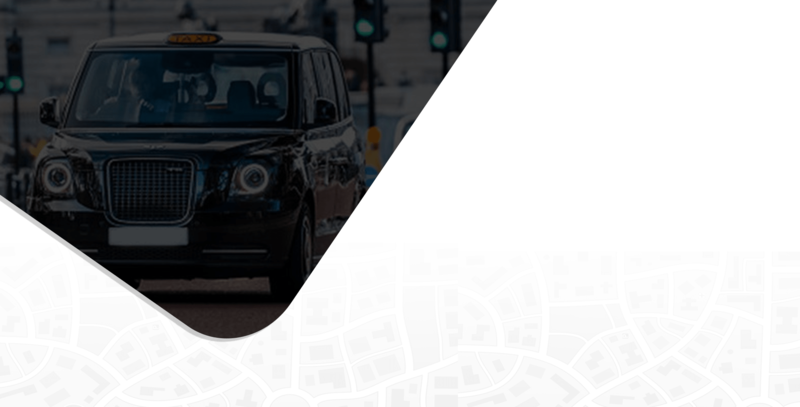 Our Gett Taxi Clone is designed by keeping the comfort of the app users in the central focus. 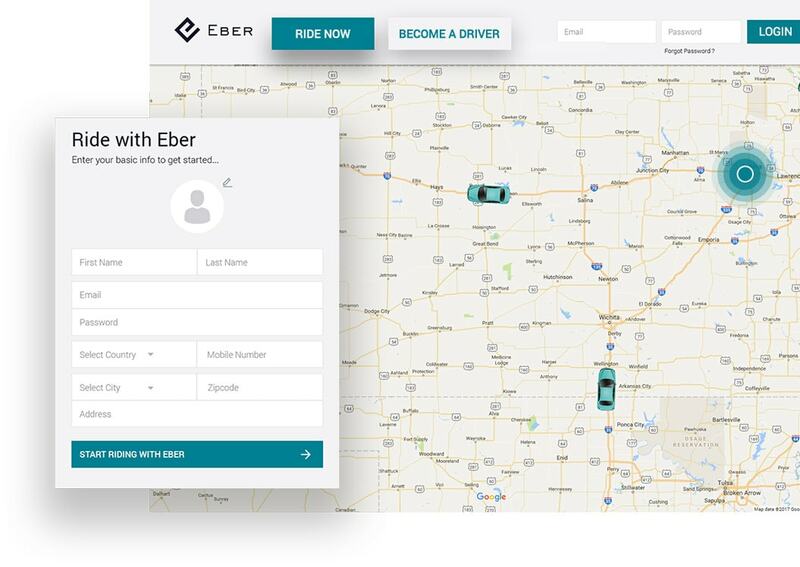 Every app user whether they are the riders, drivers, partners, hotels, dispatchers or even the admin should be comfortable enough so that they can use the service in the most convenient way. 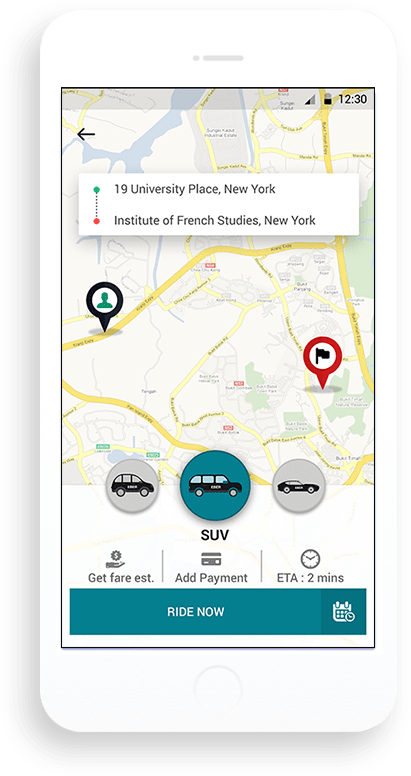 All the features of our Gett Taxi App Clone allow serving with the same convince the user is willing for. The size of the business never creates any barrier to fly in the sky of success as the app can be extended along with the business growth as many time as you want.